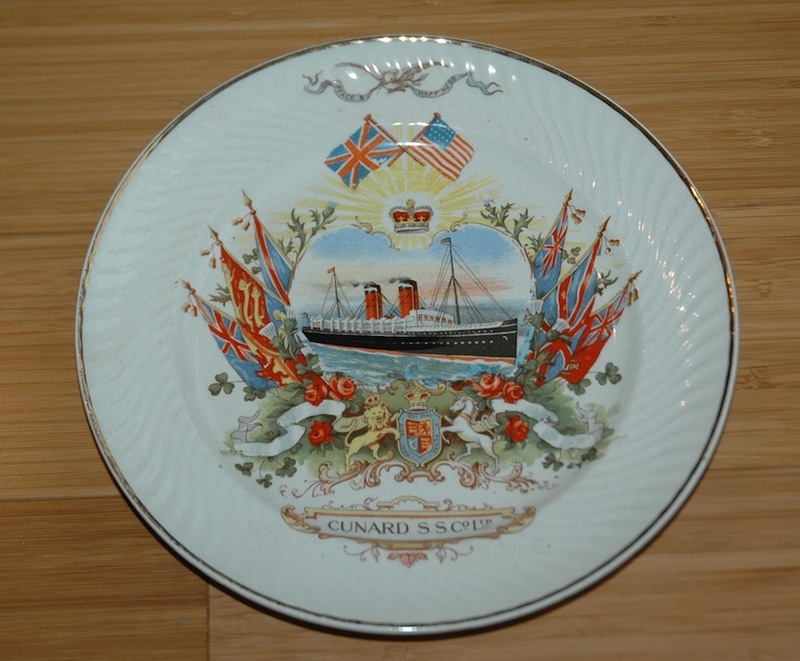 A Cunard Steamship souvenir plate from the 1890’s. Campania and Lucania represented in all manor of English Heraldry including the Tudor Rose, the thistle, and the official coat of arms of the UK, whose motto for the Order of the Garter is spelled out for us “Evil to him who evil thinks” — all surmounted by the crown. Measures about 8¼” in diameter. No chips or cracks but crazed overall. 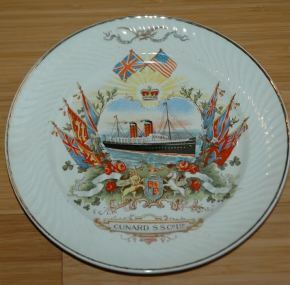 A nice plate which displays well.